Looking into every client demands, we develop a project to evaluate the equipment requirements for the appropriate watching, recording, and images transmissions by this sophisticated security tool. 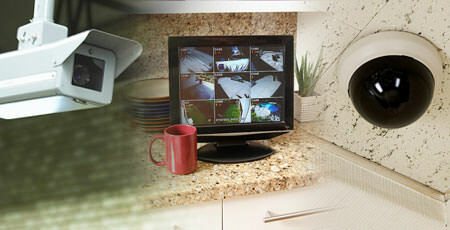 From interior hidden cameras to exterior night vision cameras that allow you to protect your belongings and employees. Protection against theft and break-ins. Security to pilferage or petty robbery. From a small kit to an specific equipment.